Amy Wood is chair of Cooley’s compensation & benefits practice group. Her practice focuses on executive and director compensation, corporate governance and shareholder engagement for public companies. Her experience includes designing, implementing and disclosing executive compensation arrangements, such as equity incentive plans, bonus plans, performance awards, change in control and severance plans and employment agreements. 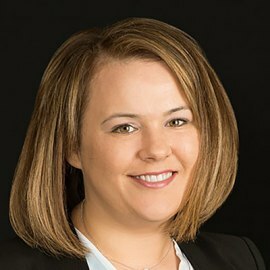 With respect to these arrangements, she counsels clients on the disclosure requirements, provides strategic advice for communicating the terms of programs to shareholders and advises on the tax implications, including Internal Revenue Code Sections 162(m), 280G and 409A. She also counsels clients on the compensation and benefits issues arising in mergers and acquisitions, initial public offerings and stock option exchange programs. Amy advises clients on the impact of ISS, Glass Lewis and institutional investor policies and the shareholder relations issues that arise in connection with compensation and corporate governance matters. She often counsels clients submitting controversial proxy proposals as well as those responding to low vote results for say-on-pay or other proposals. She provides strategic advice to boards of directors, compensation committees, nominating & governance committees and management teams on these matters as well as new developments and evolving best practices in executive compensation, corporate governance and shareholder engagement. Amy’s clients span a broad geographic range and include companies in a wide range of industries, including technology, life sciences & healthcare, food & beverage, consumer and food products, retail & consumer products, real estate investment trusts, electric utilities and oil & gas. While at USD School of Law, she served as editor-in-chief of the San Diego Law Review.